The rugged lightweight NuPod Sprinkler Irrigator is the perfect addition for your farm and at a lower cost. A smaller unit than our other stationary irrigators making it easier to set on hilly terrain. 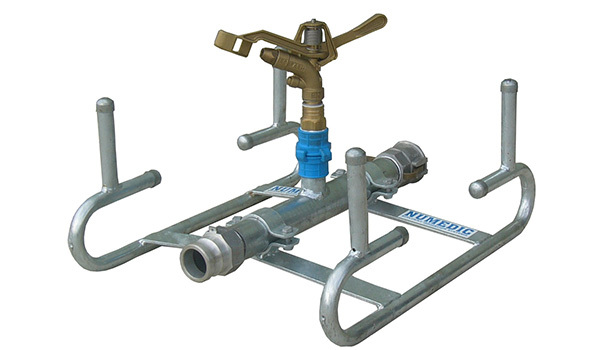 The galvanised frame will last for years and the quality NuPod sprinkler comes with smaller nozzles which deliver super-low application rates suitable for application in high leaching soils.